This is a small day-flying sphingid with forewing length of only 23-28mm (1). 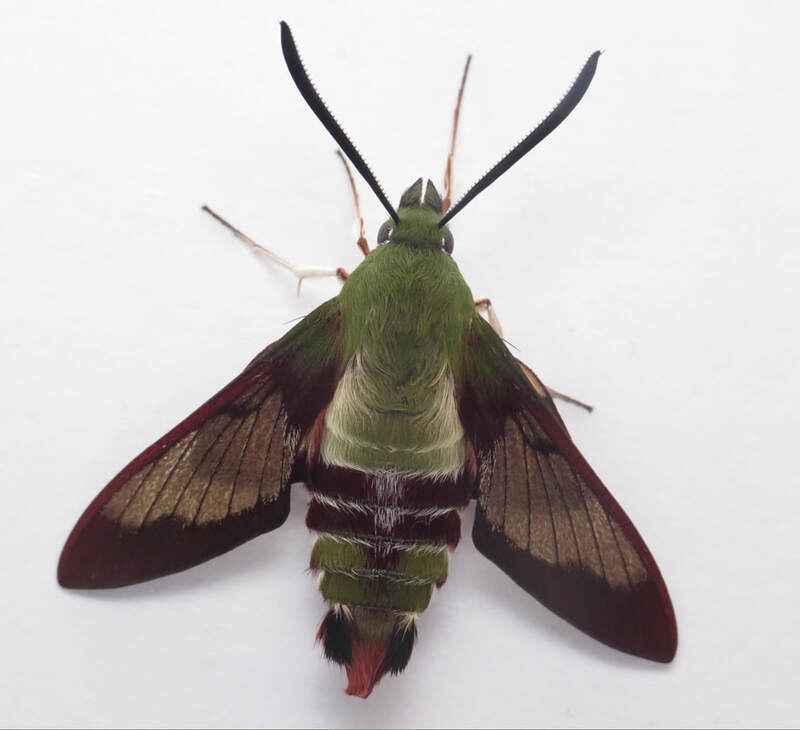 It is the largest in the genus. All the Hemaris species have clear areas on the wings rather than being typically colored and scaled like in other genera. This is a widespread species, found in many habitats. 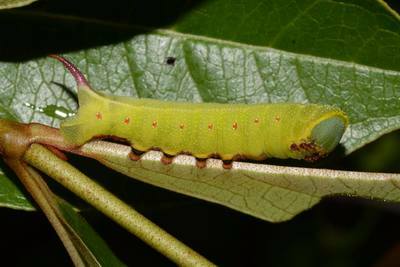 It can be fairly variable in appearance. 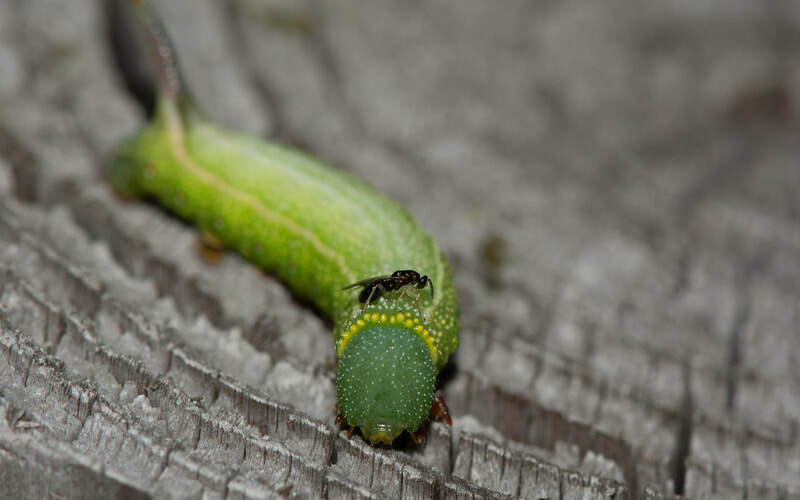 The thorax is generally greenish-yellow or brown. 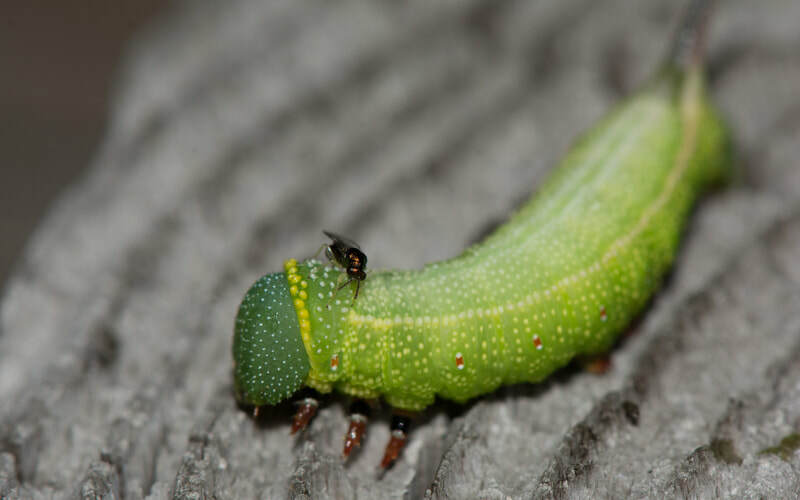 There are two or so reddish segments on the abdomen, but the rest of the abdomen is the same color as the thorax. 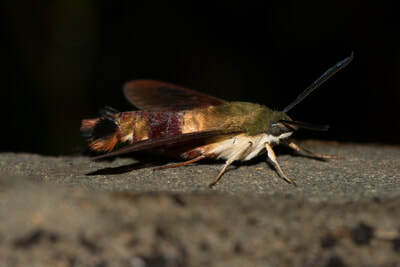 Tuttle notes that the lack of two distinct red bands that run down the ventral surface of the moth from eyes to abdomen which will help separate this moth out from Hemaris gracilis(1). You can also examine the forewing cell. 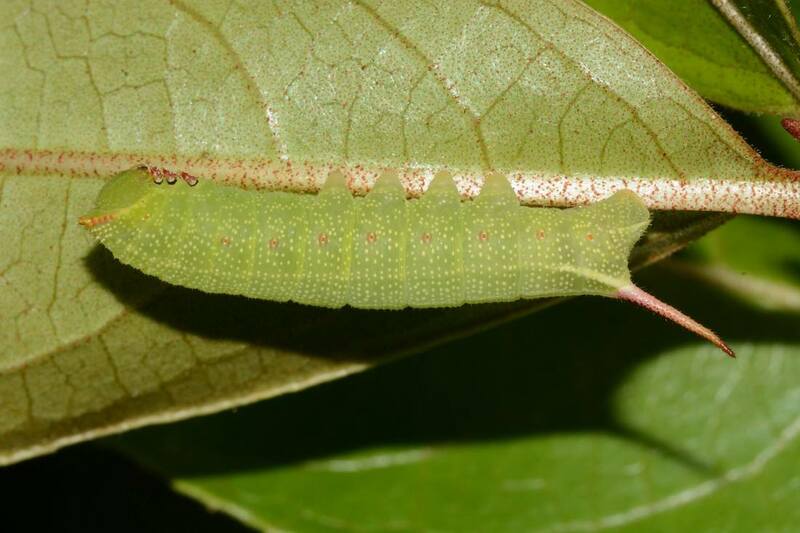 In this species, the forewing cell has a distinctive vein running through the middle of it. 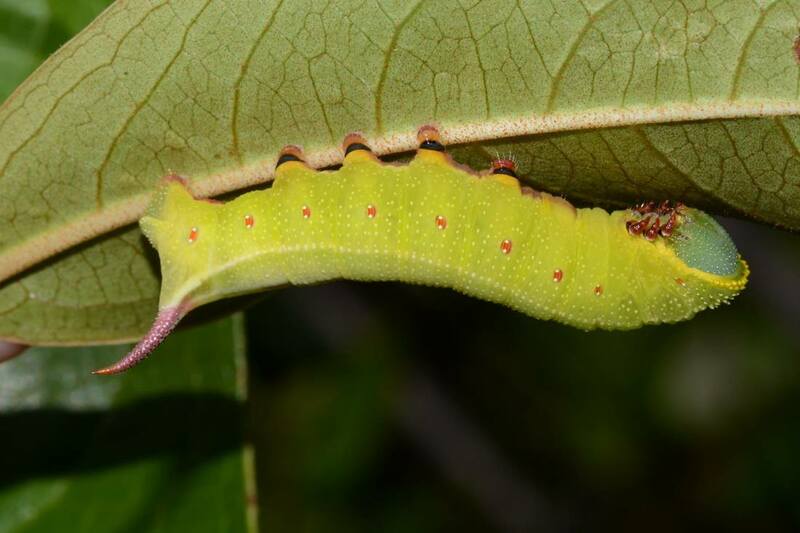 L5: The larva is green in color and generally has a granulose yellow collar behind the head. The horn is bluish in color and granulose. 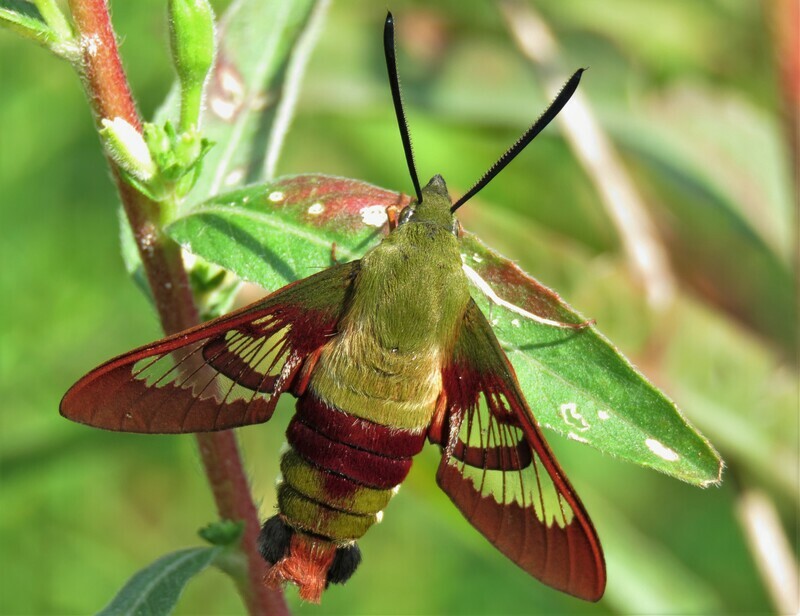 The spiracles are red, but bordered by white, which helps separate it from Hemaris gracilis. 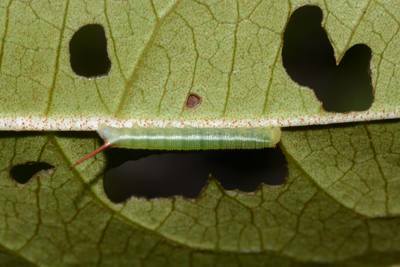 There are two white stripes that run the length of the larva dorsally which end at the horn. The dorsal section of the larva between the white stripes may be more blue than the rest of the larva. 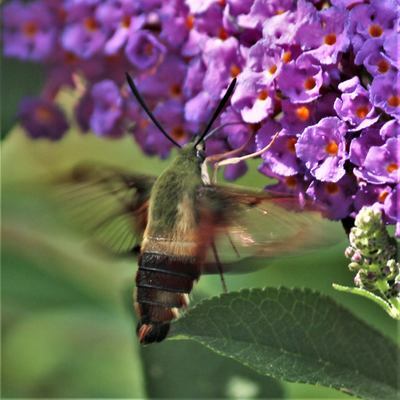 The gallery to the left contains photos of Hemaris thysbe adults. If you have a photo that you would like to submit to us, please contact us. The gallery to the right contains photos of Hemaris thysbe larval and pupal stages. If you have a photo that you would like to submit to us, please contact us.